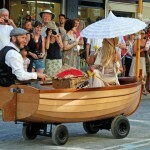 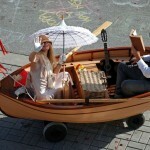 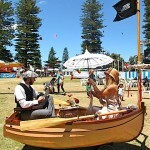 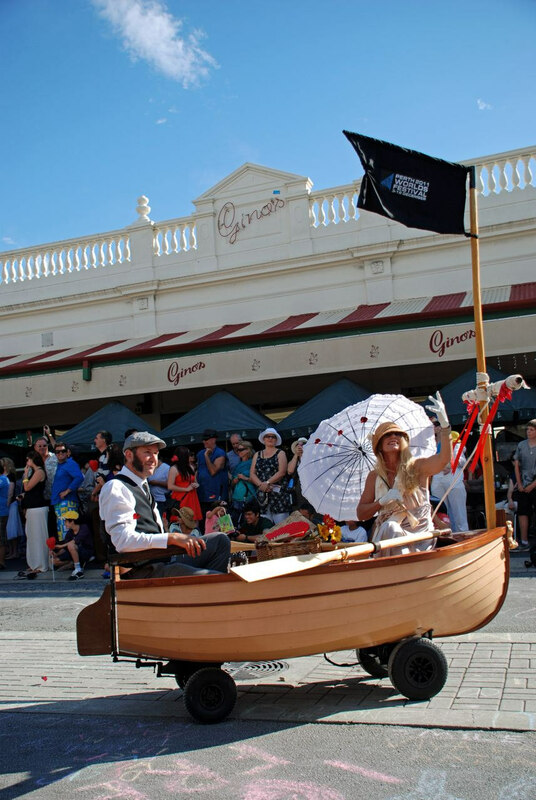 Roving boat - The Lovers - ""
The Lovers is a warm and realistic interactive roving performance based in Perth. 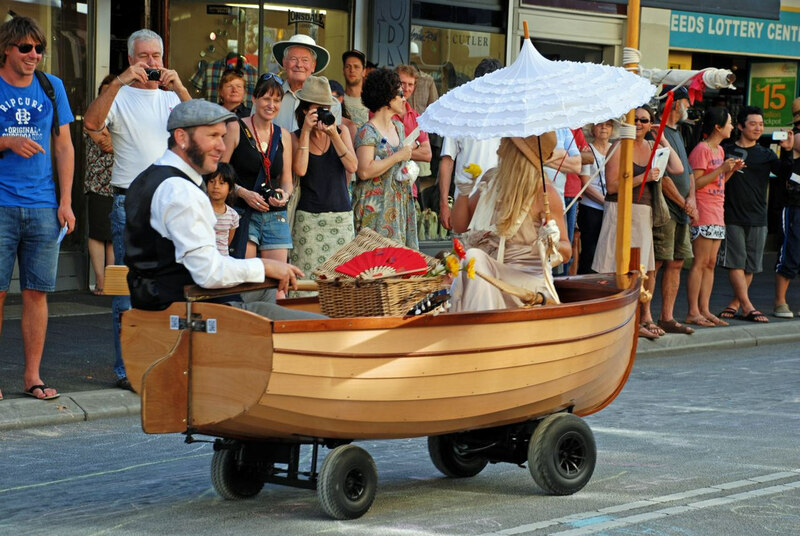 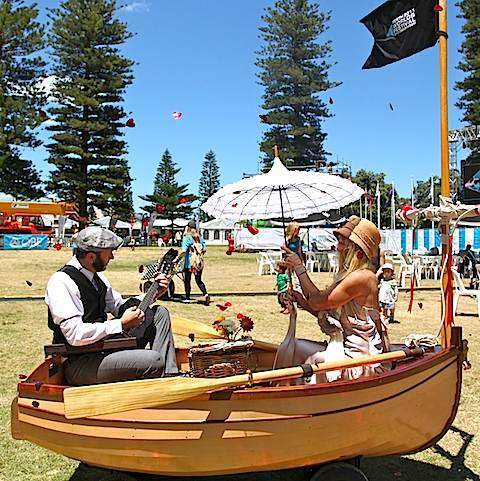 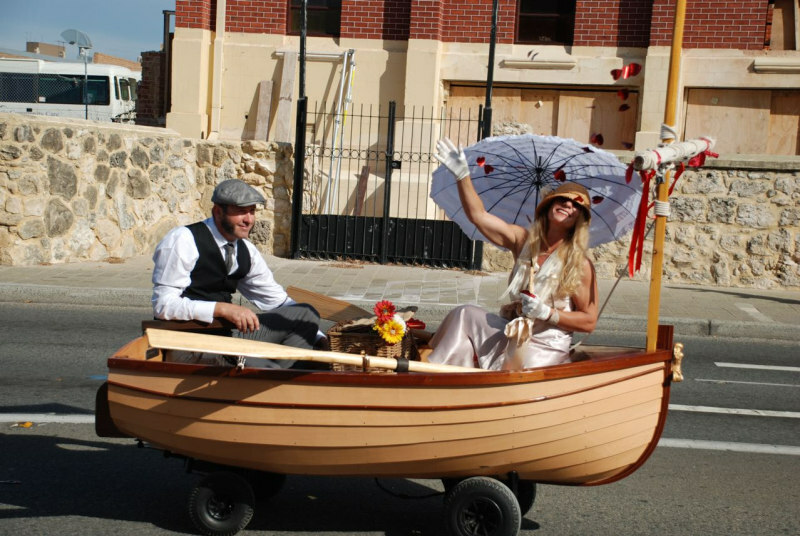 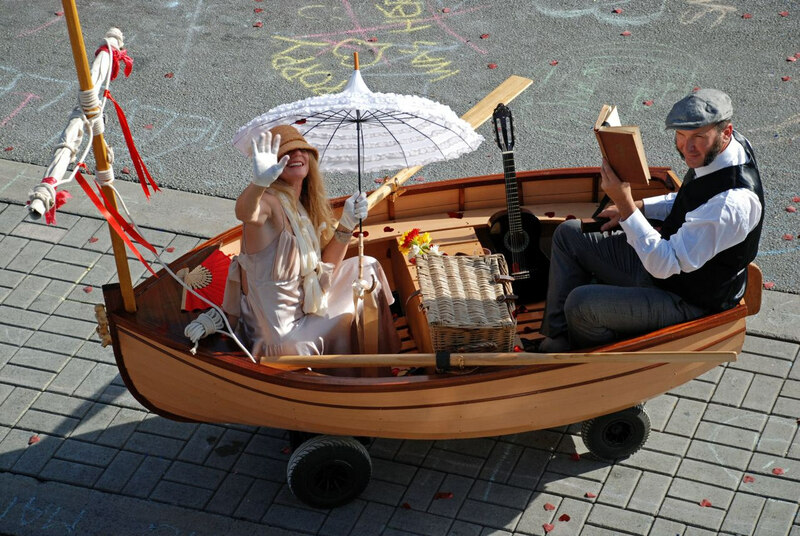 Also called “the little row-boat”, The Lovers is perfect roving entertainment for Valentine’s Day, family, food & wine festivals & seaside or water themed events. 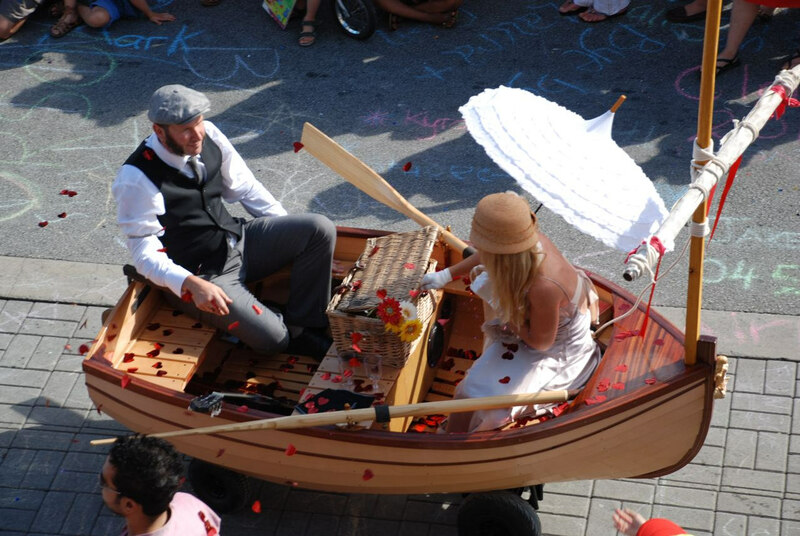 A beautifully hand made, wooden rowboat on electric powered wheels carries two lovers through the streets playing music, quoting poetry, picnicking and leaving behind a trail of rose petals, light filled balloons and warmed hearts. 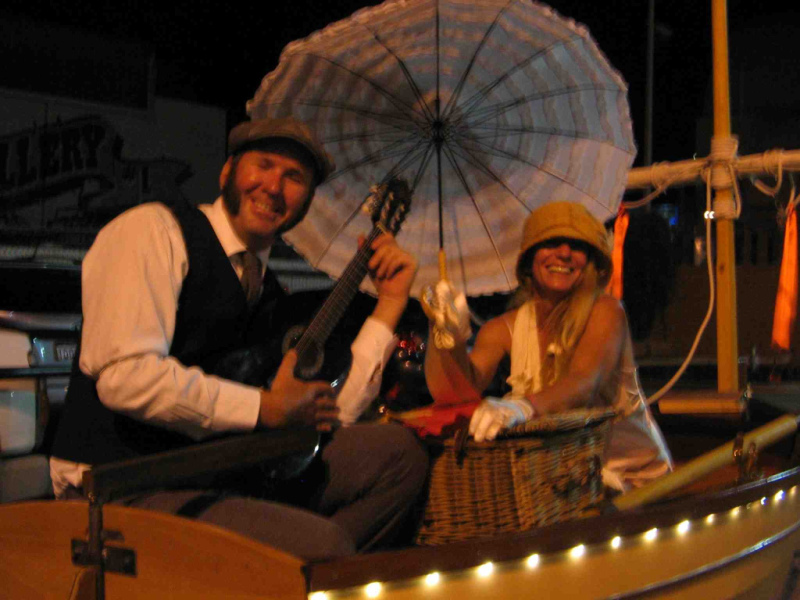 A vision from a gentler time, unashamedly romantic and a delight for all ages. 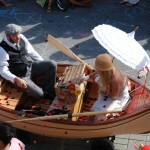 The Lovers also has lights for night performances. 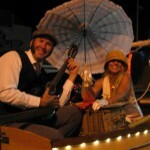 Can tour around the country with freight charges applying. 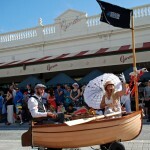 The same performers also present the roving Space Buggy.